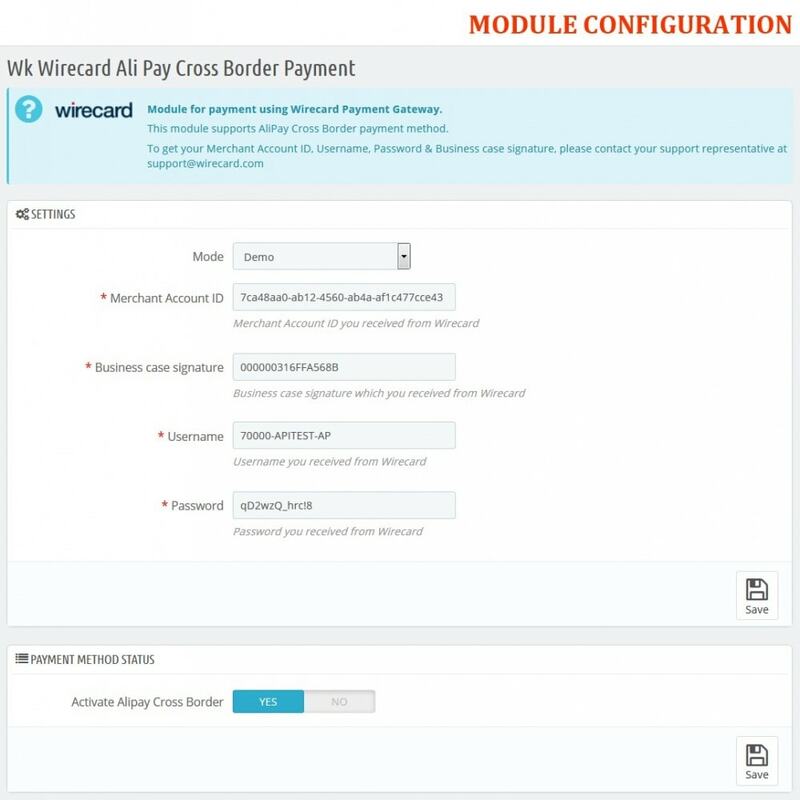 This module allows merchants to accept and authorize Alipay Cross Border payments made through Wirecard Gateway. Alipay is the most common used payment method in China. Alipay is the MUST HAVE service when you enter China ecommerce market. 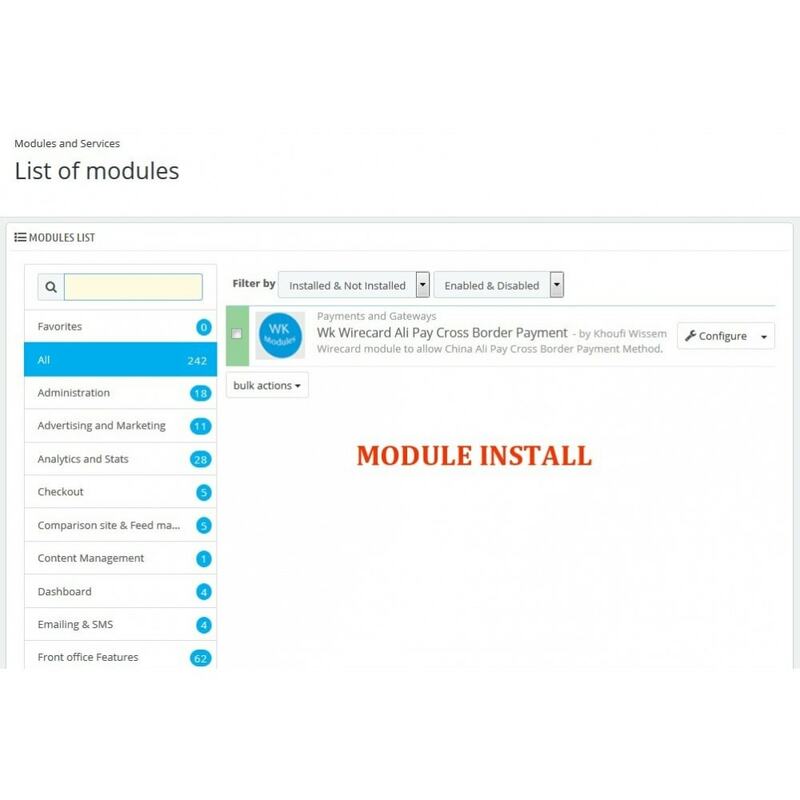 Alipay Cross-Border E-Payment Service is a payment solution that allows buyers to pay for goods sold on international partner merchant websites using Renminbi (RMB). Alipay will then remit the sum in a foreign currency (one of the twelve that are currently supported) to the international merchant in settlement. 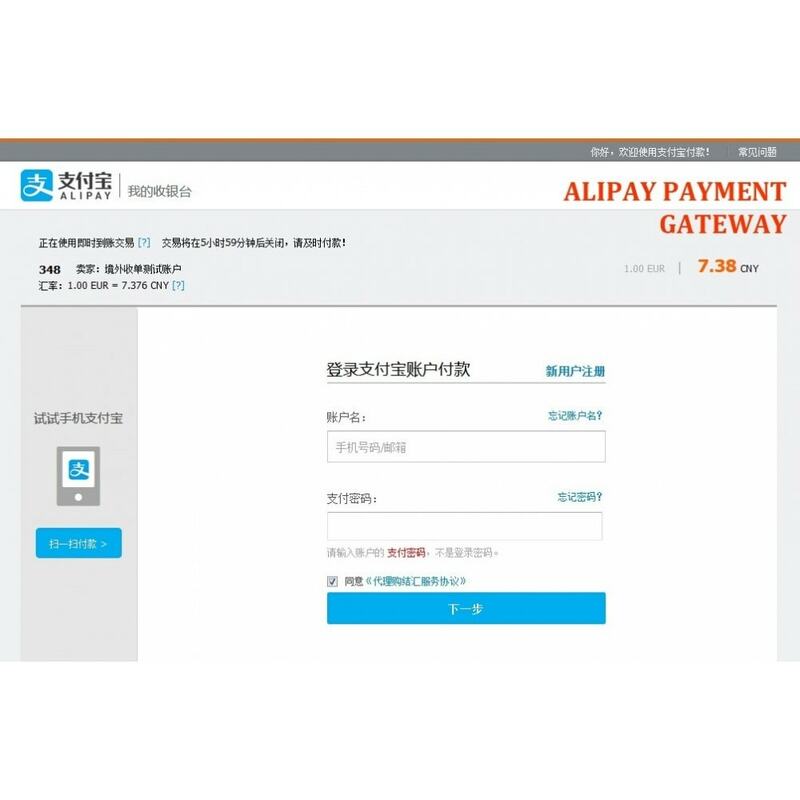 The end consumer is redirected to Alipay and authorizes the transaction. 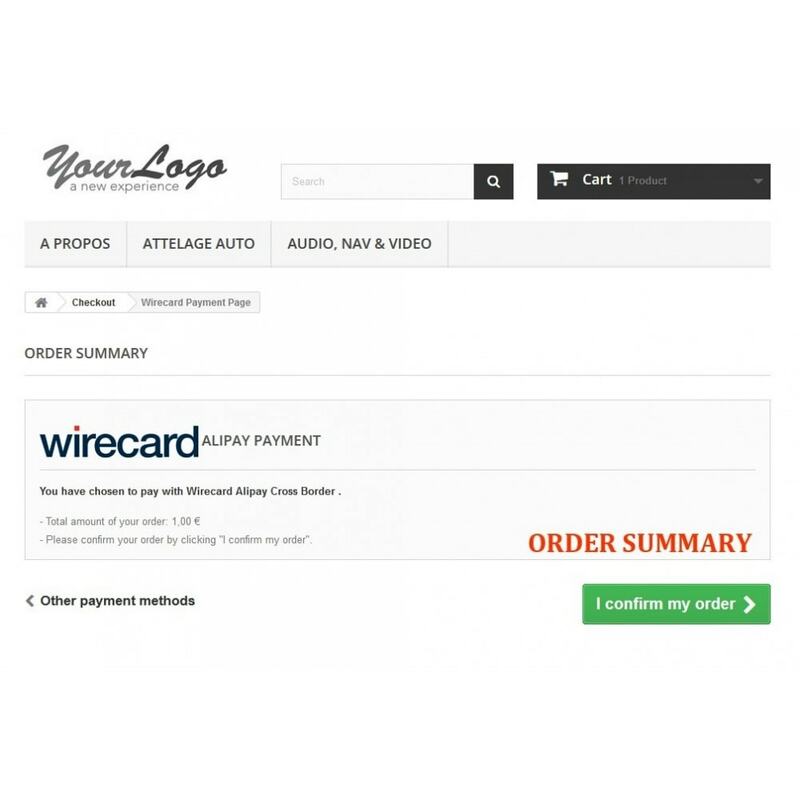 A notification confirming the outcome of the transaction is sent to the merchant. 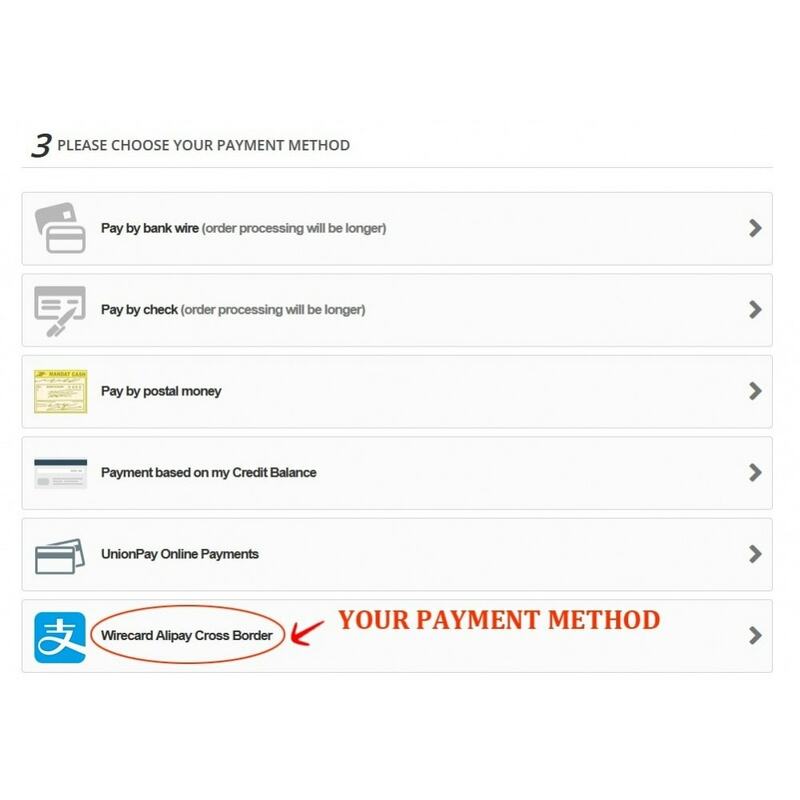 The notification for the final status of a payment should be received within a few minutes. Do not hesitate to contact us if you have any questions. We respond very quickly. Fix some minor bugs and ensure compatibility with Wirecard Gateway.